Ballet is a poised style of dance which uses core strength and provides the foundation techniques for many other dance forms. This genre of dance requires much practice. We offer fun introductory ballet classes for pre-school children i.e. Ballet Babes and thereafter students follow the ISTD Syllabus from Pre- Primary to Advanced with the option of taking exams throughout. Tap requires the dancer to use their feet to strike the floor, beating out different rhythms, with dancers wearing tap shoes which have small metal plates on the toe and heel to give the distinctive sound. Tap dance is a theatrical art form often seen on stage in musicals. 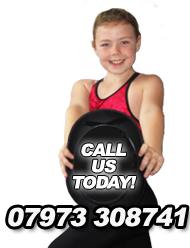 Students follow the ISTD Syllabus and classes are offered from age 4 upwards through to Adult classes. Exams can also be taken from Primary upwards. Modern Theatre Dance is a rhythmic dance style which originated in America before travelling to the rest of the world. It is often seen on the stages of musical productions and is known for its theatrical qualities. The style uses travelling steps, high kicks, leaps and turns which all need strength and flexibility. This is an energetic dance style using moods and musical qualities to perform steps and routines. Students study the ISTD Syllabus and classes start from age 4 upwards beginning with Primary and on through to Advanced. Street Dance is a current, vibrant, expressive and engaging dance genre. Our classes are energetic and lots of fun and students have the opportunity to learn all different types of styles and techniques from old school hip hop to LA style, popping and locking to whacking and vogueing. We offer classes from 4 years upwards. 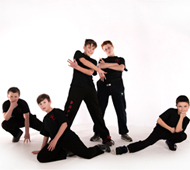 We also offer a boys only Street Dance class in which the more physical side of Street can be learned. West End Jazz Students are taught routines and audition repertoire direct from West End and Broadway shows. Jazz dance is the predominant style used in the West End and the work of prolific choreographers such as Bob Fosse is studied. Musical Theatre is a form of theatre that combines songs, spoken dialogue, acting, and dance. Students learn songs from the hit West End shows both present and past. Vocal training is also included in the class and the teaching of performance skills is a high priority. 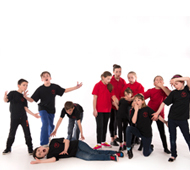 Drama classes enable students to express their individuality and unlock their imagination, improve self-esteem and boost their confidence. Classes include improvisational skills, voice technique, script and character work and accent work. 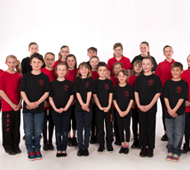 Private and small group singing lessons are offered at the school and are open to all ages for both girls and boys. Vocal technique, including breathing exercises, voice production and diction, vocal tone and range are important elements that are covered in this class. Students study a variety of songs from Musical Theatre,pop and contemporary repertoire that they can use for auditions or just simply enjoy singing. Contemporay dance draws on both classical ballet and modern dance and uses more individualized approaches to the moving body and choreographic possibilities. It contains unpredictable changes in rhythm, speed, and direction and is very expressive. This class concentrates on body conditioning, toning and improving core strength which is essential to realise the full potential of a dancer. Exercises to improve flexibility are included which benefit the students in all other classes.